UXBRIDGE -- Xerox has announced third-quarter 2006 earnings per share of 54 cents compared to third-quarter 2005 earnings per share of five cents. The company’s third-quarter earnings this year include a previously announced tax benefit of 45 cents per share partially offset by restructuring of seven cents per share and a litigation charge of seven cents per share. Excluding these items, Xerox delivered adjusted EPS of 23 cents, an increase of 28 per cent over third-quarter 2005 adjusted EPS of 18 cents. “Through earnings expansion, annuity growth and a strong financial position that allows for stock buyback and acquisitions, we exceeded our expectations this quarter and are delivering on our commitment to build shareholder value,” said Anne M. Mulcahy, Xerox chairman and chief executive officer. Total revenue of $3.8 billion grew two per cent in the third quarter. Post-sale and financing revenue, which represents about 75 per cent of Xerox’s total revenue, increased three per cent, largely driven by four per cent post-sale growth from digital systems. Total revenue and post-sale revenue included a currency benefit of one percentage point. About 48 per cent of the company’s equipment sales in the third quarter were from colour products, a year-over-year increase of seven points. Total revenue from Xerox’s industry-leading colour systems grew 16 per cent in the third quarter and now represents 36 per cent of the company’s revenue, up four points from a year ago. The number of pages printed on Xerox colour systems grew 35 per cent in the quarter. While equipment sale revenue was down one per cent in the third quarter including a one point benefit from currency, installs of key products like the Xerox iGen3 Digital Production Press and DocuColor systems as well as WorkCentre multifunction systems drove up activity, fuelling future gains in the company’s post-sale revenue. Signings for document management services were up 16 per cent year to date and were about flat in the third quarter as the company experienced longer lead times for finalising multi-year contracts. 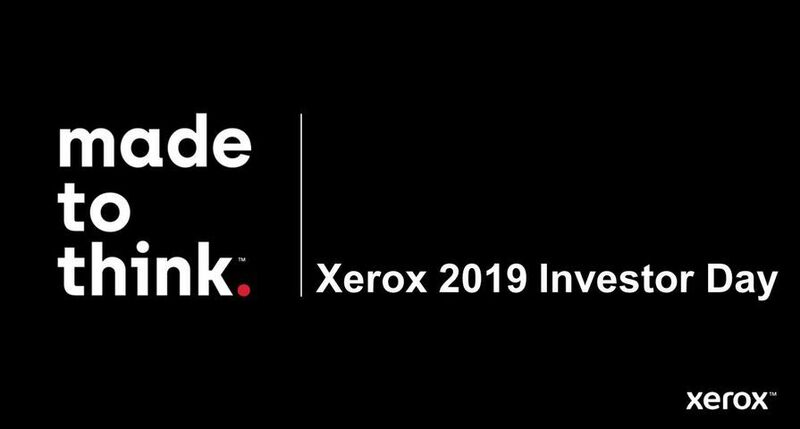 Xerox’s production business provides commercial printers and document-intensive industries with high-speed digital printing and services that enable on-demand, personalised printing. Total production revenue increased three per cent in the third quarter including a two point currency benefit. Installs of production black-and-white systems declined six per cent with growth in light production only partially offsetting declines in higher-end production printing. Production colour installs grew 107 per cent, reflecting accelerated activity for the iGen3 and continued strong demand for the DocuColor 5000 and 7000/8000 series as well as the DocuColor 240/250 multifunction system. Earlier this month, Xerox made several announcements that strengthen its leadership in the production market including the acquisition of XMPie, a leading provider of variable information software; advanced finishing capabilities for the iGen3 and DocuTech 180 Highlight Color System; and a dual-engine printer that sets a new speed record for two-sided, cut-sheet black-and-white printing. Xerox’s office business provides document technology and services for businesses of any size. Total office revenue was flat in the third quarter including a two point currency benefit. Installs of office black-and-white systems were up 10 per cent, largely driven by 19 per cent growth from Xerox’s mid-range line of WorkCentre multifunction products. In office colour, installs of multifunction systems were up 46 per cent reflecting strong demand for the colour WorkCentre systems launched in May and the continued success of the office version of the DocuColor 240/250. 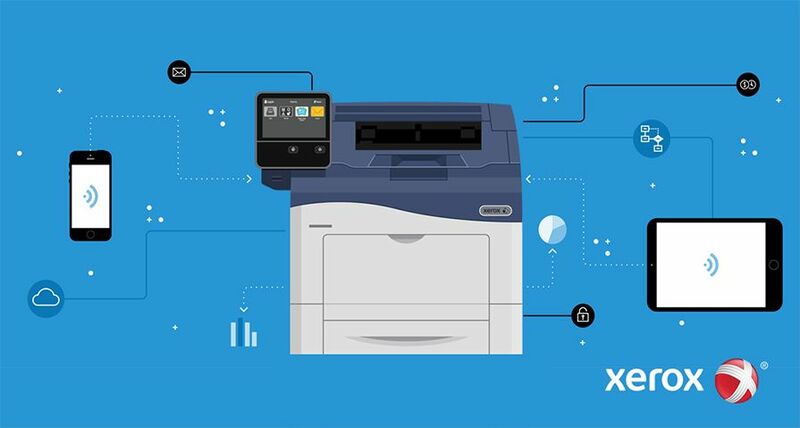 Expanding its competitive offerings for small and medium-sized businesses, Xerox launched in September the WorkCentre 4150, its fastest-ever desktop multifunction system. The company also cited continued improvement in its developing markets operations. Total revenue grew seven per cent in DMO. Gross margins were 40.2 per cent in the third quarter, a year-over-year decline of 1.1 points. The decline was primarily due to product mix and equipment pricing as well as lower margins in Xerox’s Global Services business as the company incurred upfront costs to support new multi-year managed services contracts. Selling, administrative and general expenses were 25.6 per cent of revenue, a year-over-year improvement of 1.3 points. Xerox generated operating cash flow of $530 million in the third quarter and closed the quarter with $1.5 billion in cash and short-term investments. Since launching its stock buyback programme last October, the company has repurchased about 78 million shares, totalling $1.1 billion of the $1.5 billion programme through the third quarter of this year. Also during the quarter, Xerox closed on the $175 million cash acquisition of Amici LLC, a provider of electronic-discovery services that support litigation and regulatory compliance. In early October, Xerox announced the $54 million cash acquisition of XMPie, which is expected to close in the next few weeks. Xerox expects fourth-quarter 2006 earnings in the range of 21-24 cents per share, including restructuring charges of about 13 cents per share. Excluding restructuring, Xerox expects fourth-quarter adjusted EPS of 34-37 cents per share. “We expect our fourth-quarter performance will keep us on track to deliver our full-year earnings expectations,” said Mulcahy.